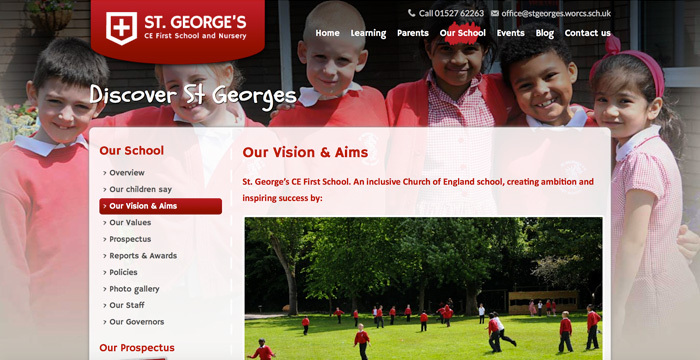 St George's First School wanted a website which appealed to prospective pupils and parents whilst being a source of information and interaction for current stakeholders. 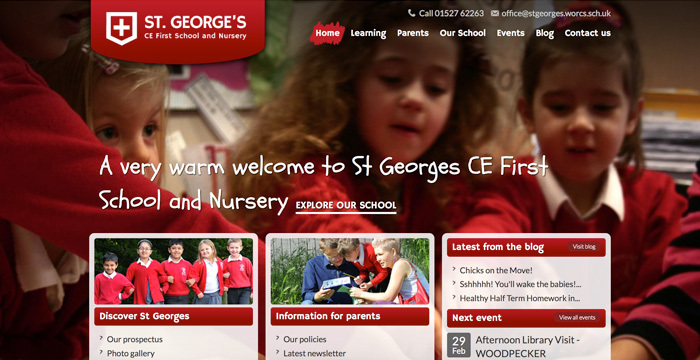 The existing St George’s website was disorganised and very difficult to manage. 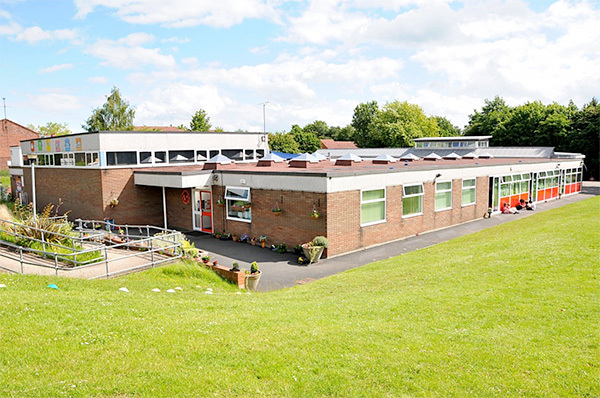 It suffered from a dated design and failed to show the school’s real atmosphere and values. An impending OFSTED inspection meant they needed a solution which helped to support their goals of becoming an outstanding School. Mrs Redfern, the head teacher at the school, contacted us to come up with a solution which combined a logical structure for their content and a friendly design to appeal to adults and children alike. 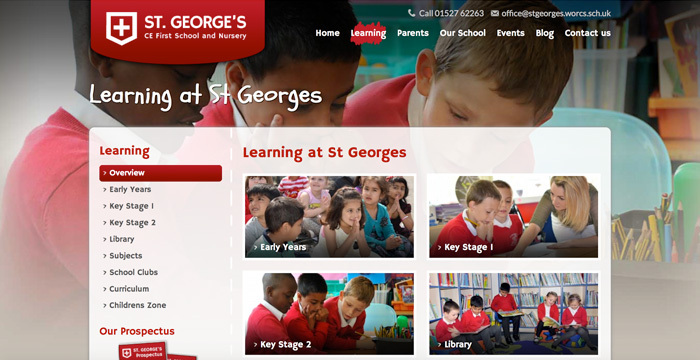 Refresh Studios worked closely with staff at St George’s to produce a design that stood out from the websites of other primary schools in the area. We ensured the children were at the centre of the design, including an abundance of photography throughout the design. The events calendar and class blogs are constantly updated by staff. 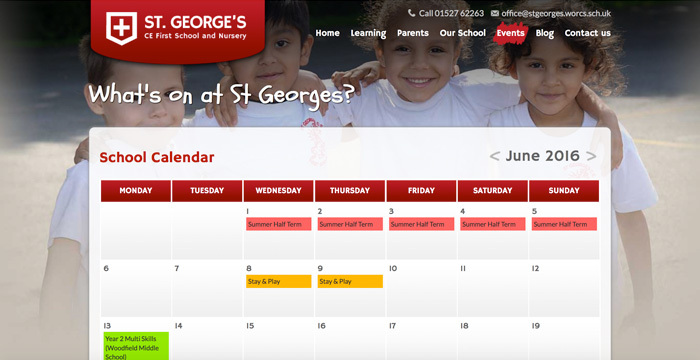 These tools provide a platform to keep parents informed on the latest goings on and provide a great way of them interacting with the school. Events can be added quickly and user’s are able to navigate through the different months of the year to show a visual calendar. Refresh Studios took a step back an re-structured the website into logical sections – allowing parents, children and teachers to find the information they are looking for within a couple of clicks. We created a school blog which allows parents and children to engage with the school. The teachers post regular updates to their class blogs which parents and children can comment on.